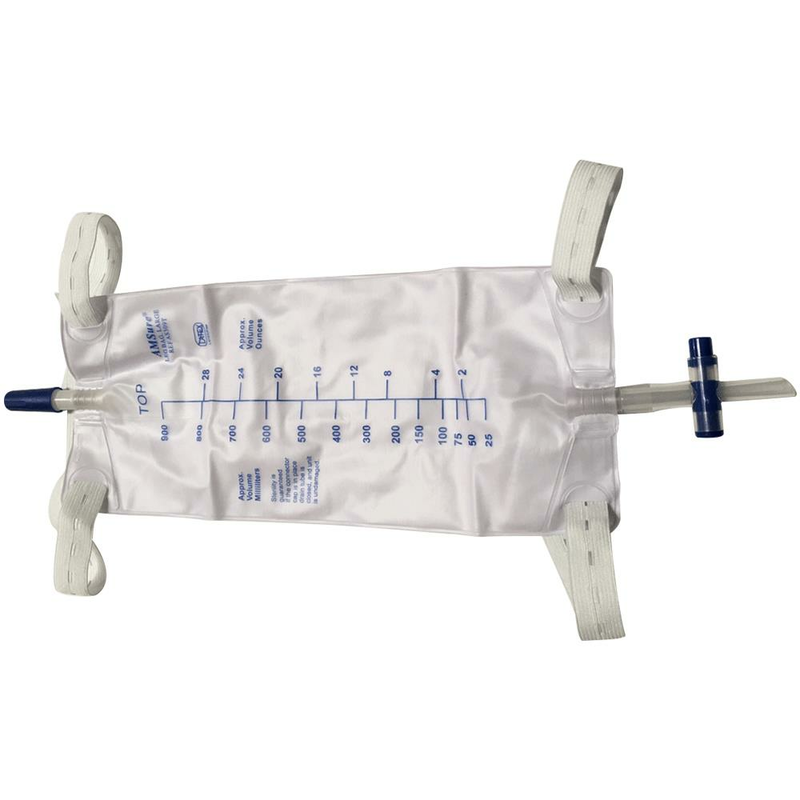 Amsino AMSure Urinary Leg Bag is used to collect urine by attaching to a catheter. It comes with pre-attached leg straps, drainage port and an anti-reflux device. 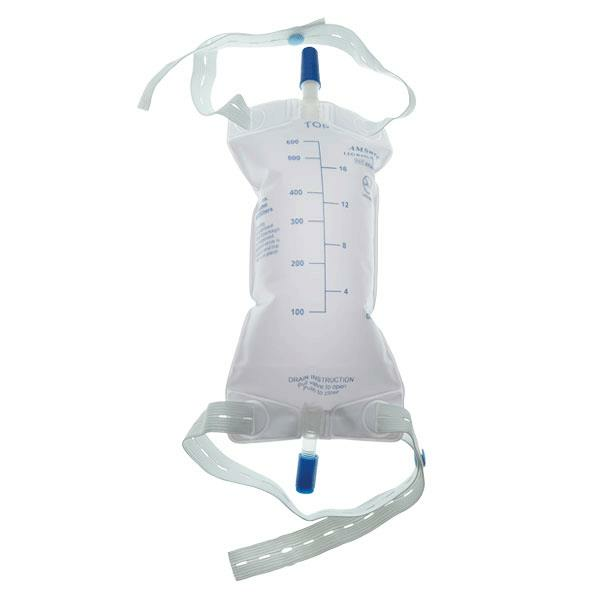 AMSure Urinary Drainage Leg Bag has a soft and comfortable vinyl construction to help contour to the patient body. How long is the bag, from the tip of the inlet hose connection to the tip of the drain valve? We'll try to get back to you shortly regarding this. Yes, Amsino AMSure Urinary Leg Bag is discreet and hardly noticeable under street clothing. Will the urine flow out when I sleep? No, urine would not flow out. 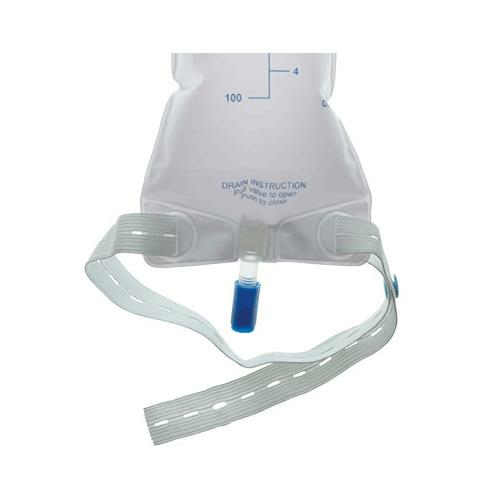 Amsino AMSure Urinary Leg Bag has an Anti-Reflux Valve that prevents back flow of urine and reduces messy clean ups. 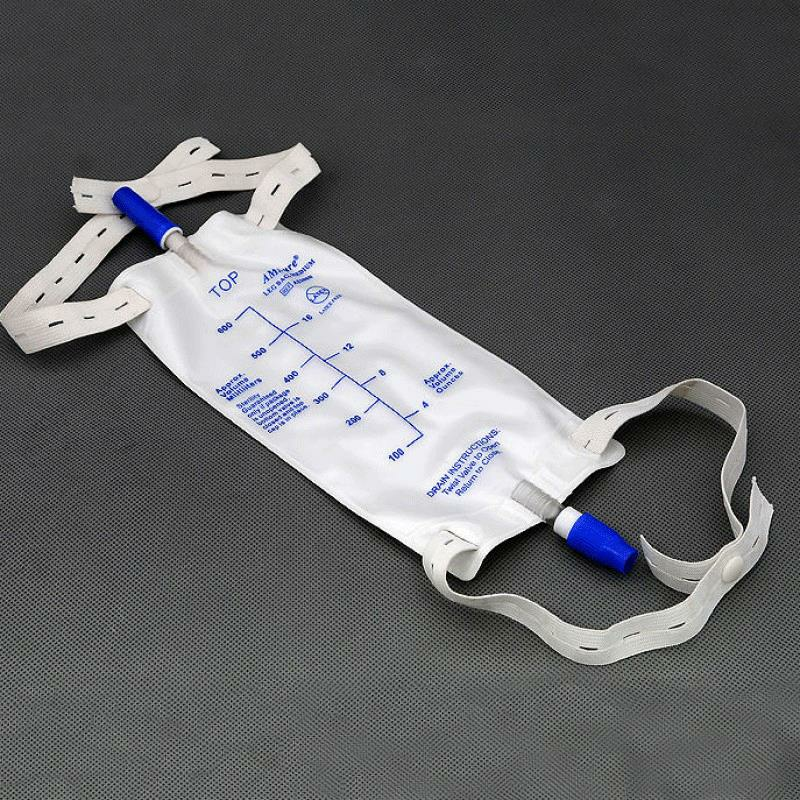 Amsino AMSure Urinary Leg Bag should not be used more than one month.